Ryan completed 31 of 39 passes for 379 yards and a touchdown in Monday night's 23-20 win over the Giants. 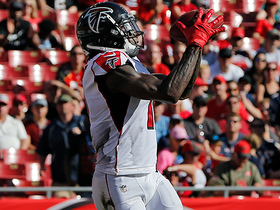 Ryan completed 31 of 41 passes for 354 yards and three touchdowns as the Falcons defeated Tampa Bay 34-29 on Sunday. 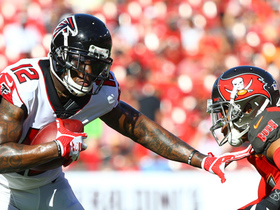 Ryan (foot) wasn't listed on the Falcons' injury report Wednesday, Vaughn McClure of ESPN.com reports. Analysis: After he was seen taking snaps and throwing passes at Wednesday's practice, Ryan held court with the media, telling D. Orlando Ledbetter of The Atlanta Journal-Constitution his foot was "fine." Clearly, the Falcons' medical and training staffs agree with the quarterback's own assessment. 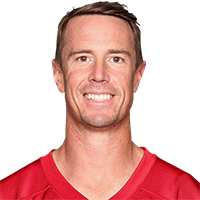 Ryan will now turn his sights on Sunday's matchup with the Buccaneers, who have allowed 370 yards passing per game and 13 touchdowns versus just a single interception this season. Ryan (foot) was present at Wednesday's practice, taking snaps and throwing passes, D. Orlando Ledbetter of The Atlanta Journal-Constitution reports. Analysis: In the aftermath of Sunday's 41-17 loss in Pittsburgh, Ryan was seen leaving the X-ray room at Heinz Field, where scans returned negative regarding any fractures in his foot. While practicing Wednesday, Ryan appeared to display deft footwork, but the first Week 6 injury report will reveal whether he was a limited or full participant. Ryan had X-rays on his foot after Sunday's 41-17 loss to Pittsburgh, with results coming back negative for any fractures, D. Orlando Ledbetter of The Atlanta Journal-Constitution reports. Analysis: Ryan was pulled in favor of Matt Schaub late in the fourth quarter once the game was well out of reach. Coach Dan Quinn said the 33-year-old quarterback will be fine for a favorable Week 6 home matchup with Tampa Bay, but it won't come as any surprise if Ryan shows up on the injury report after the Falcons return to practice Wednesday. Ryan completed 26 of 38 passes for 285 yards and a touchdown during Sunday's 41-17 loss to Pittsburgh. Analysis: Ryan was sacked on six occasions by four different defenders, as the Falcons offensive line struggled mightily in trying to contain the Steelers' front seven. Nevertheless Atlanta continues to air it out, with its veteran quarterback averaging 36.6 attempts and 320 passing yards per game thus far this season. Week 6 brings a favorable matchup against a Buccaneers defense that entered Week 5 allowing an average passer rating of 130.5 (NFL-high). Ryan was seen exiting Heinz Field's X-ray room following Sunday's loss to the Steelers, Ray Fittipaldo of the Pittsburgh Post-Gazette reports. Analysis: Ryan was strip-sacked by T.J. Watt in the fourth quarter during a play that led to a Steelers touchdown and did not return to the game. The nature of a potential injury to Ryan is currently unclear. For what it's worth, Matt Schaub took over at quarterback for the end of Sunday's game and would be in line to start if Ryan is forced to miss time going forward. 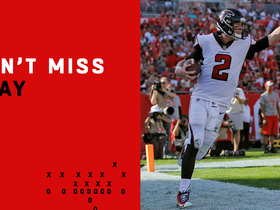 Ryan completed 29 of 39 passes for 419 yards and three touchdowns as Atlanta suffered a debilitating 37-36 loss to Cincinnati on Sunday. Ryan completed 26 of 35 attempts for 374 passing yards and a career-high five touchdowns, but the Falcons were defeated in overtime 43-37 by New Orleans. Ryan said Friday that the Saints deploy a number of different defensive looks, making it all the more challenging to prepare for Sunday's matchup, D. Orlando Ledbetter of The Atlanta Journal-Constitution reports. Ryan completed 23 of 28 pass attempts for 272 yards, two touchdowns and one interception Sunday against the Panthers. 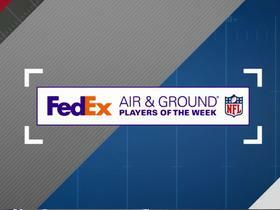 He also carried four times for 18 yards and a pair of touchdowns in the 31-24 win. 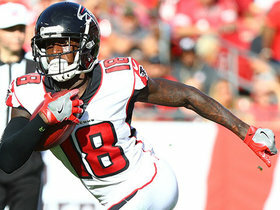 Ryan addressed Atlanta's red-zone woes with optimism Wednesday, D. Orlando Ledbetter of The Atlanta Journal-Constitution reports. "It's a long season. I believe the work we put in is going to pay off moving forward. I hold the belief that that the job is going to get done when we get those opportunities again." 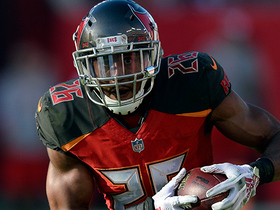 Ryan strives to improve upon a turbulent Week 1 outing, admitting that "(he) didn't play well enough" in the season opener against Philadelphia, D. Orlando Ledbetter of The Atlanta Journal-Constitution reports. Ryan completed 21 of 42 passes for 251 yards while tossing one interception during the Falcons' 18-12 defeat to Philadelphia on Thursday night. 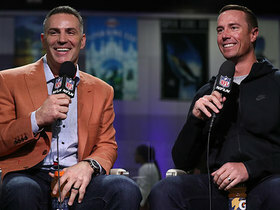 Ryan said Monday that he and offensive coordinator Steve Sarkisian have reached a new comfort level with one another heading into the coach's second year with the Falcons, Kelsey Conway of the team's official site reports. "A lot of the situational stuff comes up in practice more so than it's come up in games for us," Ryan explained Monday. "There have been a handful of times specifically in two-minute situations or low red-zone situations where we've had those things come up during practice and I'm kind of already thinking the way he's thinking before the play comes in." Ryan completed five of 12 pass attempts for 57 yards in Saturday's 17-6 loss to Jacksonville. Ryan responded to Jalen Ramsey's comments from last week in which the Jacksonville cornerback tabbed the 2016 MVP as overrated, Kelsey Conway of the Falcons' official site reports. "Playing as long as I have in this league.... I don't worry too much about it," Ryan said after practice on Tuesday. "My responsibility is to go out there and play the best football I can." Ryan completed five of seven passes for 90 yards and a touchdown in Friday's preseason game against the Chiefs. Ryan completed his only pass attempt for minus-2 yards in the Falcons' 17-0 preseason loss to the Jets on Friday. 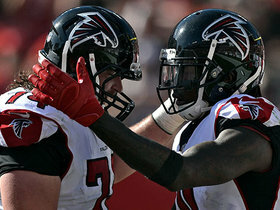 Ryan signed a five-year, $150 million contract extension with the Falcons on Thursday, Chris Mortensen of ESPN reports. Ryan is guaranteed $100 million in the deal. Ryan was confident Monday when reflecting on his contract negotiations, saying he feels talks between him and the team will culminate in an extension, D. Orlando Ledbetter of The Atlanta Journal-Constitution reports. "I'm excited about being a Falcon for a long time," Ryan said before the media at his charity golf tournament Monday. "It will get done when it's supposed to get done." Ryan and the Falcons are close to reaching a consensus on terms for a new contract, Falcons GM Thomas Dimitroff said on Atlanta's 680 "The Fan" on Tuesday morning. Ryan completed 22 of 36 passes for 210 yards and a touchdown during Saturday's 15-10 loss to the Eagles. Ryan (personal) practiced in full Wednesday, Vaughn McClure of ESPN.com reports. Analysis: The reason for Ryan's absence Tuesday was explained as a personal matter by the organization, per McClure. Ryan wouldn't elaborate on the topic Wednesday, but his ability to log every practice rep returns the Falcons offense to status quo. Over the past four contests, including Saturday's wild-card win against the Rams, he's completed 62 percent of his passes, averaged nearly 259 yards per game and recorded four touchdowns versus one interception. Falcons head coach Dan Quinn said Ryan (personal) rejoined the team Wednesday, Kelsey Conway of the Falcons' official site reports. Analysis: It's expected that Ryan, who missed the Falcons' first practice of the week Tuesday to attend to the personal matter, will be a full participant in Wednesday's session, given that he's not dealing with an injury. 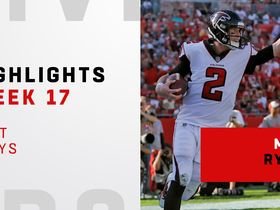 Since throwing three interceptions in the Falcons' Week 14 loss to the Saints, Ryan has bounced back nicely with a 4:1 TD:INT ratio, 62 percent completion rate and 7.3 yards per attempt over the past four contests, which includes Atlanta's wild-card win over the Rams last week. Ryan missed Tuesday's practice due to a personal matter, Vaughn McClure of ESPN.com reports. Analysis: Although Ryan was at the Falcons' facilities for a portion of the day Tuesday, he left before he was able to take any practice reps, per McClure. Upon the release of the first injury report of the divisional round, a team spokesperson relayed Ryan "had an appointment" but wouldn't reveal the nature of it out of respect for the quarterback. There's a chance Ryan returns to drills Wednesday, but until he does, his status will be monitored with a watchful eye. Ryan completed 21 of 30 passes for 218 yards and a touchdown during Saturday's 26-13 win over the Rams. Ryan completed 28 of 45 passes for 317 yards with one touchdown and no interceptions in Sunday's 22-10 win over the Panthers. He also rushed three times for 14 yards. Ryan completed 22 of 36 pass attempts for 288 yards, one touchdown and one interception during Sunday's 23-13 loss to the Saints. He also gained seven yards on two carries. Ryan completed 17 of 31 passes for 212 yards and a touchdown in Monday night's 24-21 win over the Buccaneers. He also rushed three times for 29 yards. Ryan completed 15 of 27 passes for 221 yards with one touchdown and three interceptions in Thursday's 20-17 win over the Saints. He also netted zero yards on his three rushes. Ryan completed 16 of 29 passes for 173 yards during Sunday's 14-9 loss to the Vikings. Ryan completed 26 of 35 passes for 317 yards with one touchdown and no interceptions in Sunday's 34-20 win over the Buccaneers. He also rushed once for one yard. Ryan completed 19 of 27 passes for 195 yards and two touchdowns in Monday night's 34-31 win over the Seahawks. He also rushed three times for 12 yards. Analysis: Ryan has now thrown for under 220 yards in back-to-back outings, but Monday marked his fourth straight game with two touchdown passes. 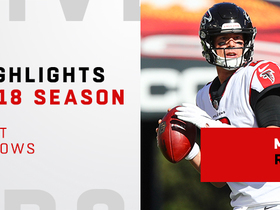 The quarterback led the Falcons to strong starts in both halves, as they scored touchdowns on their first two drives of the game as well as their first drive after halftime. On the back of a tough road win, Ryan will now look forward to three straight home games, beginning this Sunday against the Buccaneers. Ryan completed 22 of 29 pass attempts for 215 yards, two touchdowns and an interception in Sunday's 27-7 win over the Cowboys. Analysis: The yardage total was a season low, but Ryan made up for it with the two TD passes, something he had only done once through his first six games, but has now done in each of his last three. While the 32-year-old still has not thrown for more than two scores in a game this season, he at least seems to have turned a corner as the Falcons head to Seattle to face a defense sans Richard Sherman in Week 11. Ryan completed 24 of 38 passes for 313 yards with two touchdowns and one interception in Sunday's 20-17 loss to the Panthers. He also lost a yard on his sole rush.